The Frieda Belinfante Class Act Program is Pacific Symphony's flagship youth education program. Individual Symphony musicians are trained and placed in year-long residencies at up to 32 K-8 school in Orange County, bringing the magic of symphonic music to over 17,500 students. 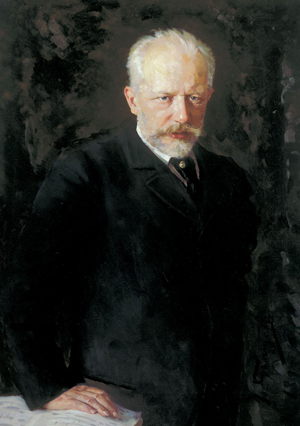 Class Act's theme-based curriculum is aligned with both Common Core and VAPA standards, and allows school communities the opportunity to explore a new theme and composer each year: the music of Peter Illyich Tchaikovsky is the composer of the 2018-2019 year. There is a strong partnership component between the Symphony and school communities that is key to the success of the program. 8,500 teachers and parents are touched by the program each year, while Class Act serves as an entry point to other Symphony activities, encouraging participants to further explore their interest in music and music-making with Pacific Symphony. Program activities include onsite Teacher Training Workshops, which provide educators with grade-level appropriate, multidisciplinary arts activities to enhance student learning in multiple subject areas through music. Student-centered activities include Prelude Assemblies, attended by schools' entire student body and hosted by a professional actor who introduces students to their musician and the year's theme and composer. Classroom Lessons then follow, presented to each grade level and taught by Symphony musicians. As with all program elements, these age appropriate lessons are aligned with national Common Core and state VAPA standards and focus on the year's theme and featured composer, as well as providing details about the musician's instrument and career. Family Night ensemble performances are then presented at each school by a Symphony quintet, led by the school's musician and featuring his/her instrument. Youth Concerts are eight free interactive performances presented in late spring by the full Symphony at the Renée and Henry Segerstrom Concert Hall. These concerts, designed for students in grades two and higher, emphasize musical concepts learned during the year through the featured composer's music. Students in grades K and 1 participate in the Interactive Musical Experience, an age appropriate culminating activity emphasizing active music-making. Bravo Assemblies conclude the year, featuring each classroom's creative expression of what was learned through Class Act, in formats of their choosing: dance, music, theater, writing, or visual art presentations. The Frieda Belinfante Class Act program is presented for a minimal charge to the participating schools in 18 cities countywide and has been recognized by the American Symphony Orchestra League and National Endowment for the Arts as one of the nine most exemplary music education programs in the United States.